At the end of a busy day, a little boy surprises and amuses his father with a rather unusual list of people and things he wants to pray for. 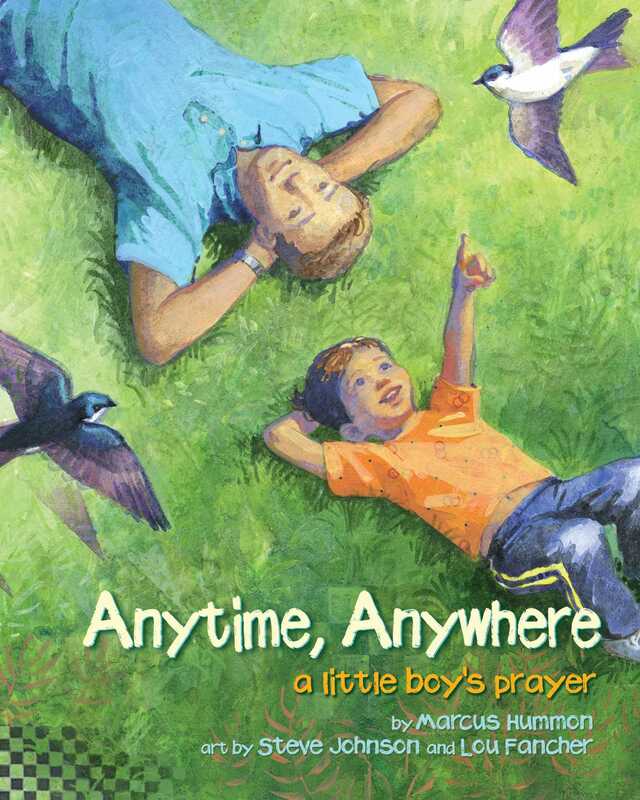 From the littlest ladybug to the mailman who broke his leg, this boy's prayer celebrates the wonder of one child's imagination - and every child's ability to care deeply about others. Steve Johnson and his partner, Lou Fancher, have worked as a creative team for more than twenty-six years, illustrating more than forty-five children’s books, including My Many Colored Days by Dr. Seuss, Maya Angelou’s Amazing Peace, and Margery Williams’s The Velveteen Rabbit, adapted by Lou Fancher. They live with their son in the San Francisco Bay area. Lou Fancher and her partner, Steve Johnson, have worked as a creative team for more than twenty-six years, illustrating more than forty-five children’s books, including My Many Colored Days by Dr. Seuss, Maya Angelou’s Amazing Peace, and Margery Williams’s The Velveteen Rabbit, adapted by Lou Fancher. They live with their son in the San Francisco Bay area.